If you want to ride off into the horizon without going bankrupt, you need a used touring motorcycle. 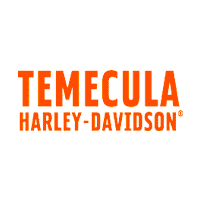 Here at our Harley® dealership in Temecula, we have used touring bikes for sale that appeal to every type of rider. Check them out here at our dealership near Murrieta, only a short ride from Palm Springs, CA! **FRESH PURCHASE, Very Clean Stripped Down Dresser for under $11K, Test Ride Today, Ride Home Tonight at Temecula HD, with EZ Low Down Financing with approval of credit, Generous trades and the confidence you get from a Factory Authorized Dealership 951-506-6903. ** Base price $10999 added dealer markup $589, total price $11588 plus DOC, tax, electronic filing and license. All financing with approval of credit. All bikes subject to prior sale, pictures may differ from actual bike, please inspect prior to purchase, mileage, equipment and condition may change. Prices subject to change without notice. RARE COLOR, UNDER $14K Test ride and ride home today!! Base price $13999 added dealer markup $589, total price $14588 plus DOC, tax, electronic filing and license. All financing with approval of credit. All bikes subject to prior sale, pictures may differ from actual bike, please inspect prior to purchase, mileage, equipment and condition may change. Prices subject to change without notice. Very Clean Local Limited Low, freshly serviced at THD and priced to move. Base price $13999 added dealer markup $589, total price $14588 plus DOC, tax, electronic filing and license. All financing with approval of credit. All bikes subject to prior sale, pictures may differ from actual bike, please inspect prior to purchase, mileage, equipment and condition may change. Prices subject to change without notice. *** LOCAL ROAD KING WITH EXTRAS*** *** NADA ~ 17450.00 *** **** KBB ~ 18780.00 *** Base price $15999 added dealer markup $589, total price $16588 plus DOC, tax, electronic filing and license. All financing with approval of credit. All bikes subject to prior sale, pictures may differ from actual bike, please inspect prior to purchase, mileage, equipment and condition may change. Prices subject to change without notice. Bars, Pipes, Rider Backrest and Highway Pegs! Base price $15499 added dealer markup $589, total price $16188 plus DOC, tax, electronic filing and license. All financing with approval of credit. All bikes subject to prior sale, pictures may differ from actual bike, please inspect prior to purchase, mileage, equipment and condition may change. Prices subject to change without notice. *** Low Mileage Streetglide in Vivid Black, freshly serviced at THD, trades welcome, test rides encouraged, EZ financing with approval of credit. *** Base price $16999 added dealer markup $589, total price $17588 plus DOC, tax, electronic filing and license. All financing with approval of credit. All bikes subject to prior sale, pictures may differ from actual bike, please inspect prior to purchase, mileage, equipment and condition may change. Prices subject to change without notice. ***Low Mileage RGS finished in Black Quartz, qualifies for Promotional rate financing with approval of credit, up to date on all services, very clean and ready for a new rider. Test Ride Today, Ride Home Tonight on this Road Glide Special complete with ABS, Security and Infotainment System*** Base price $17699 added dealer markup $589, total price $18288 plus DOC, tax, electronic filing and license. All financing with approval of credit. All bikes subject to prior sale, pictures may differ from actual bike, please inspect prior to purchase, mileage, equipment and condition may change. Prices subject to change without notice. Base price $17999 added dealer markup $589, total price $18588 plus DOC, tax, electronic filing and license. All financing with approval of credit. All bikes subject to prior sale, pictures may differ from actual bike, please inspect prior to purchase, mileage, equipment and condition may change. Prices subject to change without notice. *** LOTS OF CHROME!!! STAGE 1, 2 INTO 1, RF SOUND SYSTEM, T-BARS, LEDS *** Base price $17999 added dealer markup $589, total price $18588 plus DOC, tax, electronic filing and license. All financing with approval of credit. All bikes subject to prior sale, pictures may differ from actual bike, please inspect prior to purchase, mileage, equipment and condition may change. Prices subject to change without notice. *** CUSTOM SEAT, SLIP-ONS, One owner local trade in. Qualifies for all HD ESP coverage and EZ low down financing with approval of credit. Trades welcome and test rides encouraged *** Base price $18499 added dealer markup $589, total price $19088 plus DOC, tax, electronic filing and license. All financing with approval of credit. All bikes subject to prior sale, pictures may differ from actual bike, please inspect prior to purchase, mileage, equipment and condition may change. Prices subject to change without notice. *** CUSTOM WINDSHIELD, HIGHWAY PEGS, DOCKING KIT, LED HEADLIGHT *** Base price $17999 added dealer markup $589, total price $18588 plus DOC, tax, electronic filing and license. All financing with approval of credit. All bikes subject to prior sale, pictures may differ from actual bike, please inspect prior to purchase, mileage, equipment and condition may change. Prices subject to change without notice. *** V&H POWER DUALS, Windsplitter Windshield *** Base price $18999 added dealer markup $589, total price $19588 plus DOC, tax, electronic filing and license. All financing with approval of credit. All bikes subject to prior sale, pictures may differ from actual bike, please inspect prior to purchase, mileage, equipment and condition may change. Prices subject to change without notice. ***** EVER SEE SOMETHING SHOWN AS "TOO MANY EXTRAS TO LIST"? THIS IS THAT BIKE!!! ***** *Base price $18999 added dealer markup $589, total price $19588 plus DOC, tax, electronic filing and license. All financing with approval of credit. All bikes subject to prior sale, pictures may differ from actual bike, please inspect prior to purchase, mileage, equipment and condition may change. Prices subject to change without notice. *** Black Denim with Black Front End, Under 12k miles *** Base price $18999 added dealer markup $589, total price $19588 plus DOC, tax, electronic filing and license. All financing with approval of credit. All bikes subject to prior sale, pictures may differ from actual bike, please inspect prior to purchase, mileage, equipment and condition may change. Prices subject to change without notice. *** WAS $22,999, NOW $18,999, BLACKED OUT FRONT END! NADA Avg. Retail $22,000 as of 12/31/18 *** Base price $18999 added dealer markup $589, total price $19588 plus DOC, tax, electronic filing and license. All financing with approval of credit. All bikes subject to prior sale, pictures may differ from actual bike, please inspect prior to purchase, mileage, equipment and condition may change. Prices subject to change without notice. *** DAYMAKER LED HEADLIGHT, GRIPS, DOCKING HARDWARE, STAGE 2 AUDIO Low Low Mileage *** Base price $18999 added dealer markup $589, total price $19588 plus DOC, tax, electronic filing and license. All financing with approval of credit. All bikes subject to prior sale, pictures may differ from actual bike, please inspect prior to purchase, mileage, equipment and condition may change. Prices subject to change without notice. *** VIVID BLACK STREET GLIDE SPECIAL, low mileage SGS ready to roll. New 107 M8 motor, fly by wire, Infotainment, ABS and Security system *** Base price $19999 added dealer markup $589, total price $20588 plus DOC, tax, electronic filing and license. All financing with approval of credit. All bikes subject to prior sale, pictures may differ from actual bike, please inspect prior to purchase, mileage, equipment and condition may change. Prices subject to change without notice. *** Pre-owned purchased in Oct 2018 finished in Vivid Black, under manufacturers remaining warranty. First service done *** Base price $19999 added dealer markup $589, total price $20588 plus DOC, tax, electronic filing and license. All financing with approval of credit. All bikes subject to prior sale, pictures may differ from actual bike, please inspect prior to purchase, mileage, equipment and condition may change. Prices subject to change without notice. *** 4 Speaker Sound System, V&H, Spooky Fast Bars and more! *** Base price $19999 added dealer markup $589, total price $20588 plus DOC, tax, electronic filing and license. All financing with approval of credit. All bikes subject to prior sale, pictures may differ from actual bike, please inspect prior to purchase, mileage, equipment and condition may change. Prices subject to change without notice. ***CHROME FACTORY 47 BARS, GRIPS, INTAKE, THUNDER HEADER PIPE *** *** NADA ~ 23720.00 *** **** KBB ~ 20950.00 *** Base price $19999 added dealer markup $589, total price $20588 plus DOC, tax, electronic filing and license. All financing with approval of credit. All bikes subject to prior sale, pictures may differ from actual bike, please inspect prior to purchase, mileage, equipment and condition may change. Prices subject to change without notice.